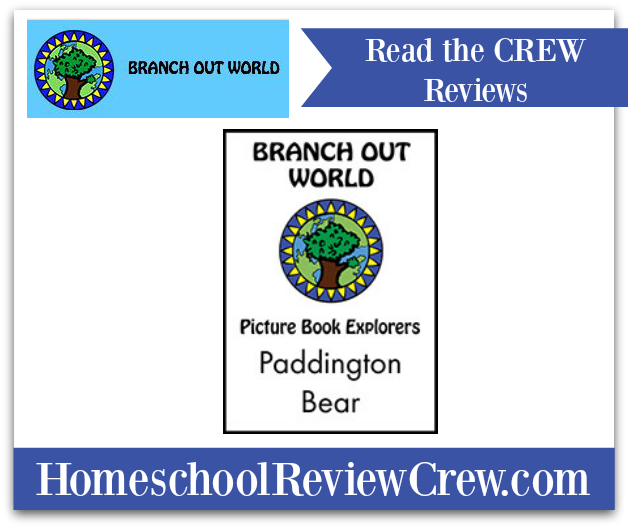 We were super excited to have the opportunity to review the Paddington Bear Picture Book Explorers unit from Branch Out World. With a toddler and 11-year-old in the house, this was the perfect summertime reading project that could involve both boys. Paddington is a well-known figure in our home so I knew that digging deeper into his book would be a fun way to learn while having fun and some of the activities were perfectly suited to the nice weather outdoors. As luck would have it (or perhaps because I love books) we had a few different versions of the Paddington books at home already and then we found a copy of the picture book as a board book for MJ (at 15-months paper pages are a bit of a challenge to keep straight). This allowed us to compare the different versions as suggested in one of the activities. You could also check them out at your local library or even the Kindle version (I found some there that were quite reasonably priced). You can even find a read-aloud on YouTube if that interests you. My first look through the Paddington Exploration had me impressed at how many subjects were brought into the study. Language arts, science, art, geography, social studies, history, and more were covered in the various activities. It was also flexible enough to adjust for different ages and abilities. After I went through the book to see how it was laid out, we dove right in and began to read our picture book so both boys could enjoy it together. Because they have also seen the movies, EJ was quick to point out where there were differences in the printed book and the film. We wrote these down to use later in the study when we compared the original chapter book with the picture book (and taking the lead of the child, the movie as well). After we read the book together (and MJ took his copy over to his aunt so she could read it to him again) we followed the guidelines for studying setting. We had a travel book on Great Britain and were able to find Paddington Station on the map of London. We also saw that it is located close by Notting Hill (the movie with Julia Roberts and Hugh Grant, EJ thought that was neat). Since we didn’t have any brochures for Peru we headed to the internet to do some searching and learned a lot about the country that Paddington had arrived from. Although some of the activities felt a little young for EJ (the exploration is recommended for ages 5 – 9) there were others that he really enjoyed like the mapping and learning about the countries. He also learned the difference between immigration and emigration and how these things can affect the countries involved. There are more activities, including a timeline, passport art project, and a mock suitcase to pack. We chose to get out our own passports and look at the different security features they contain. I found it was sometimes easier to jot down the notes myself with both children trying to get my attention but I will have EJ write his ideas into a paragraph in his notebook. This little composition book worked fine for notes plus we keeping all the mini books and notebooking activities together (we simply glued them in). This program is written to be flexible, something I like to see. Our next reading day focussed on words. This area was one that EJ found fairly easy but he put together a couple of the mini-books and assured me they were fun and that he’s sure his little cousin who’s five would love them. He did enjoy learning about the author, Michael Bond, and where the original Paddington Bear came from. We also discussed themes in storytelling and continued with our earlier conversation of the differences between the various versions of Mr. Bond’s book. EJ’s first thought was that pieces are left out of movies so you will want to read the whole book and find out the rest (not a bad thought) but as we talked about it he began to understand just how long a movie would have to be to fit everything in, especially from the original book! We also talked about how different version are suited for different ages and how his little brother has several books that are like his books but they have fewer words. This was another popular reading day since we moved into picture study and learning about architecture (EJ thinks he might want to be an architect when he grows up, or maybe a railway policeman, he isn’t sure yet). This is where it’s important to have the correct version of the book because your child will be studying a drawing and learning the correct words for the particular architectural details. You can also turn this into a little memory game as you each take turns trying to remember what was all in the drawing (it is harder than it looks). There are some art projects to go along with this section that help children learn about perspective and various principles of design. Again, this section was great for older children to sink their teeth into but also adaptable for the littles in your life. We began by reading our book again (MJ never gets tired of having books read to him) and then looking up spectacled bears (they are a certain kind of bear you know). We found there are some living in zoos in San Diego, Houston, and Baton Rouge so we’ve added these spots to our road trip list! EJ was excited to get to the art projects and science experiments so we headed off to Dollar Tree with our list. He picked up all of the parts on his own (with the help of a friendly staff member) and was quite pleased to head home and get started. The first activity was for shaving foam science. This involved squirting shaving cream into little hands and having them feel the difference between it and soap (ok, one small set of hands, the littlest ones spend too much time in his mouth right now)! We played around with tipping the can this way and that to see if that affected how it squirted out as well and EJ found that upright was best. He also recreated Paddington’s shaving cream picture of Peru on a table (outdoors) to see what would happen to it after a while (it rained overnight so you can guess I’m sure). He learned it is very difficult to print words with foam squirting out of a shaving can as well! Then it was on to our explosion experiment. This involved adding yeast to a jug that contained a mixture of hydrogen peroxide, dish soap, and food colouring (we missed this ingredient since they were out at Dollar Tree and I didn’t have any handy). We put on our safety goggles and added the yeast which began to foam up right away. The jug got warm and the foam was full of tiny bubbles. I took a few photos but it was tough to get the full effect. We did manage to get a bit of video. EJ tried to stop the foam from pouring out with a measuring cup until I could record it. EJ then tried the experiment a few different ways, without dissolving the yeast in water first, by changing the amounts and even using a different container. He was quite fascinated by the different results. He described them to me for his notes so he can do further research on the internet about why this occurred. There was also an activity where children learn about steam on a mirror and how it gets wet. This was a great one since EJ loves to take hot showers so he was able to check things out while getting ready for bed! Another activity is to do a nature study, As chance would have it a young dear came by to see what we were doing with our foam experiments and EJ managed to snap a picture of him. We are fortunate to have so much wildlife right outside our door. EJ loves taking pictures of them. Our final reading day we focussed on maths, crafts, and arts. The exploration uses train tracks to learn about parallel lines. Oddly enough, we had seen a crew out repairing some tracks earlier in the day. Since his papa works for the railway, EJ is quite interested in them and made sure to ask what would happen if the rails started moving closer together or further apart. There are other activities including one involving shaving cream again but this time the kids get to make a thick foamy sort of paint by mixing in some craft glue and colour before painting a somewhat abstract picture of Paddington himself. He had more work to do on the details but had to wait for his masterpiece to dry first. He had a lot of fun painting this one! I just love this little book study. In fact, I don’t know why I call it little, I suppose because it is for a picture book but there is a great variety of activities to go along with it so you can easily do it once when your child is on the younger end of the age range and again when they get older. It is also easy to adapt to older or younger in order to accommodate a family working on it together. There are lots of extras including recipes you might like to try with an older child, perhaps to serve at an afternoon tea. Or mix some science in with your cooking and discover the secret of foam as a food when you make some delicious meringues. I also liked that it was set out for five days. 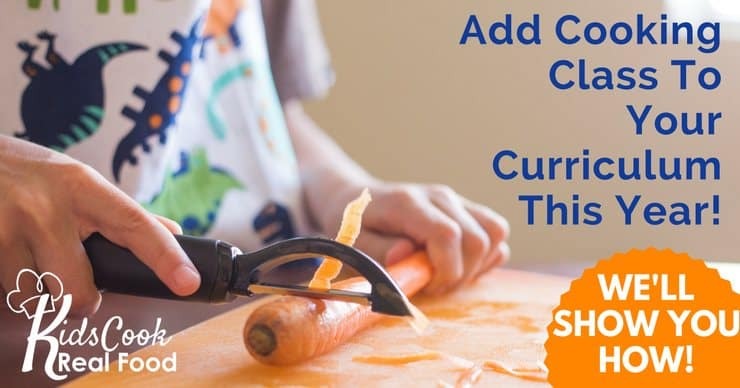 This works well for us as a family since we can take it along when we travel since most of the activities don’t require any hard to find ingredients. Even the exploding yeast could be done outdoors or in a kitchen if you have one at your location. 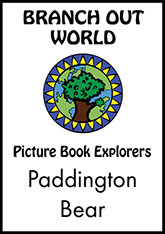 I would recommend Paddington Bear Picture Book Explorers from Branch Out World without hesitation. In fact, I think I’ll have a look at some of their other titles as well. 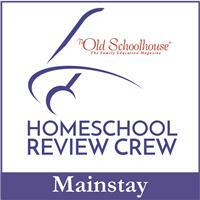 For more reviews from crew families, please click the image below.